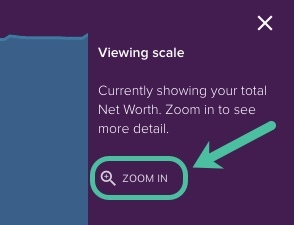 There are two different Viewing scale options for the Net Worth Graph, click the ZOOM OUT or ZOOM IN button to change between the two. 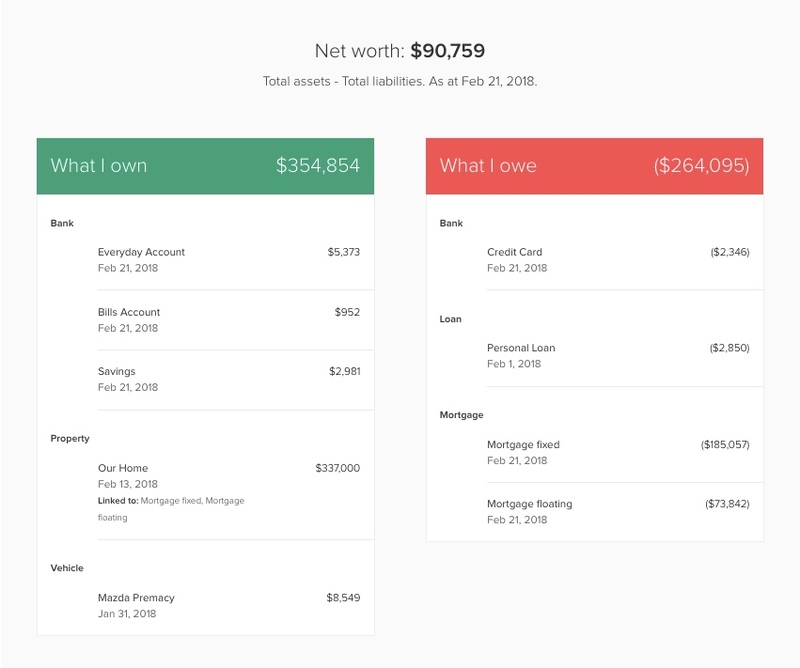 This option shows an overall view of your total net worth where the y-axis begins at zero. The minimum and maximum values of your net worth graph are listed to the left of the graph. To get a better view of changes to your net worth, you can zoom the graph in. This option shows the changes to your net worth over the past 3 months as well as the forecasted balances for the upcoming 3 months (blue). The figures beside the graph represent the minimum and maximum values based on this 6 month period. 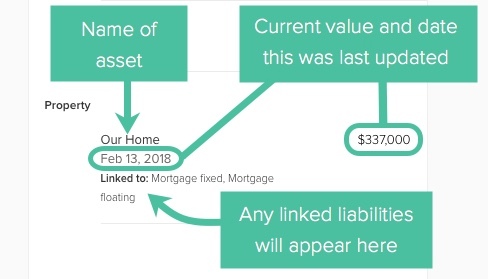 You can easily add a new asset or liability from the toolbar. For more details on what to do when adding an asset or liability, check out the following user guide: Managing your assets and liabilities .